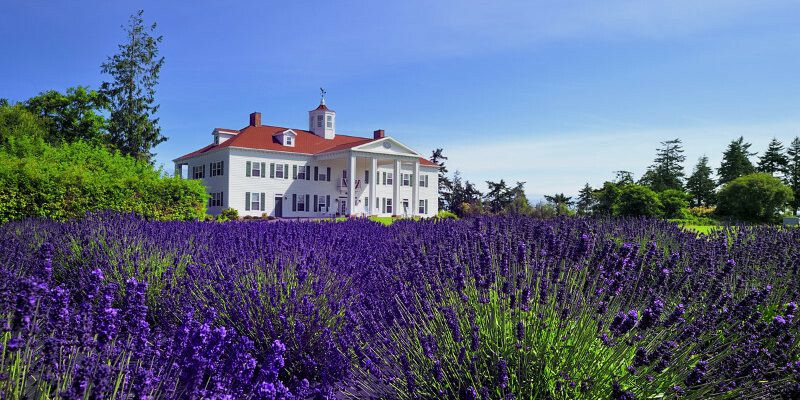 The beautiful lavender farms of the Sequim-Dungeness Valley on the Olympic Peninsula in Washington State have long been known as the source for premium lavender and lavender products. Located in the rain shadow of the Olympic Mountains, the Sequim lavender farms enjoy the ideal climate for growing lavender, making it America’s Provence. These farms are family-owned and family-friendly, inviting visitors from around the world to come experience the beauty and fragrance of this amazingly versatile herb. The first Sequim lavender farms began over 20 years ago as local farmers recognized the ideal growing climate of “America’s Provence”. Today, numerous lavender farms with thousands of lavender plants dot the Sequim-Dungeness Valley, and visitors come from around the world to experience, photograph, and celebrate. During the annual lavender festivals on the farms in July, you can indulge in all things lavender and a whole lot more. Make your own lavender crafts, pick a lavender bundle or two, learn how to cook with lavender, observe essential oil distillation, and enjoy all that the musicians, food vendors, and craft vendors have to offer. As with any crop, the plants are dormant during the winter, but just wait until spring when these plants rejuvenate, becoming lush and green. Generally the first purple tint in the fields occurs in late June, full bloom produces vibrant color within a couple of weeks, and harvest begins about one month later. Whenever you come, we welcome you to enjoy the Sequim lavender farms. And be sure to check out the gift shops while you’re on the farms! 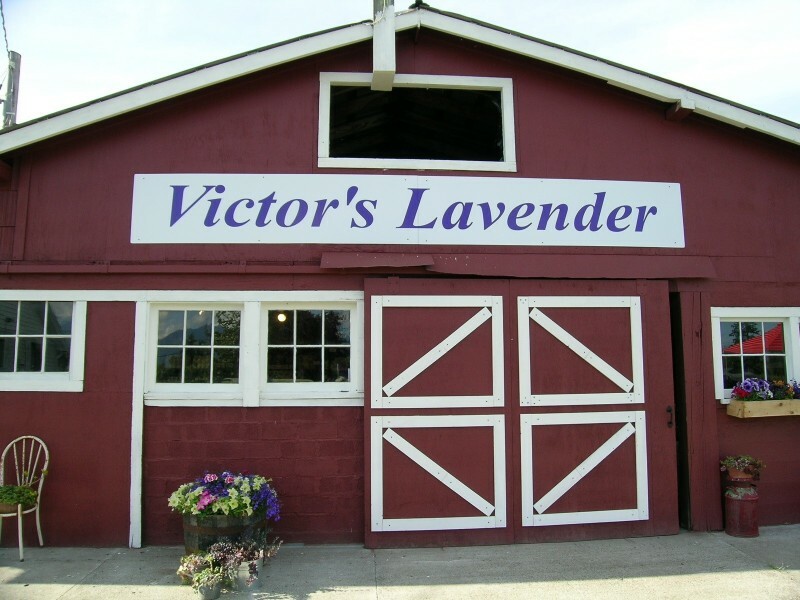 The gift shops of the Sequim lavender farms are filled with lavender products made right on the farms. 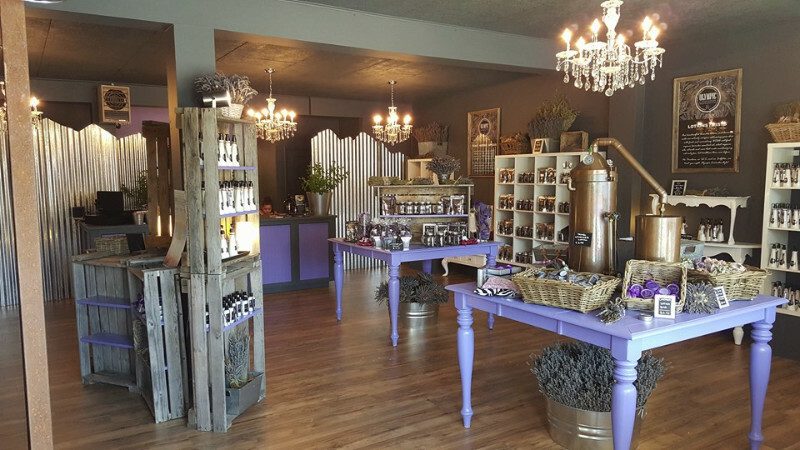 Whether you’re looking for bath and body products, lavender-themed home décor, culinary delights, essential oil, or lavender bundles, you’ll find these items and much more at the Sequim lavender gift shops. 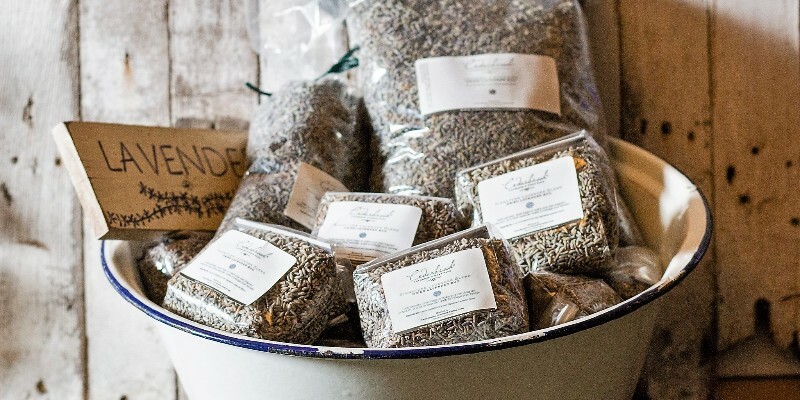 Each farm’s gift shop has its own unique personality, reflective of the farm owners’ passion and love for lavender. You will also discover a variety of handcrafted specialty items at each shop. You’ll want to follow the Sequim Lavender Trail to enjoy as many of the shops as possible during your visit. There are even a couple of shops in downtown Sequim for your convenience. Shops hours vary by farm, but most of the shops on the farms are open daily from Memorial Day through Labor Day, and many are open throughout the year. Shop hours are provided on each listing to assist you. All of the gift shops welcome you to browse, sample, and then pick out a few of your personal favorites. The shops are also happy to assist with shipping your product as needed. 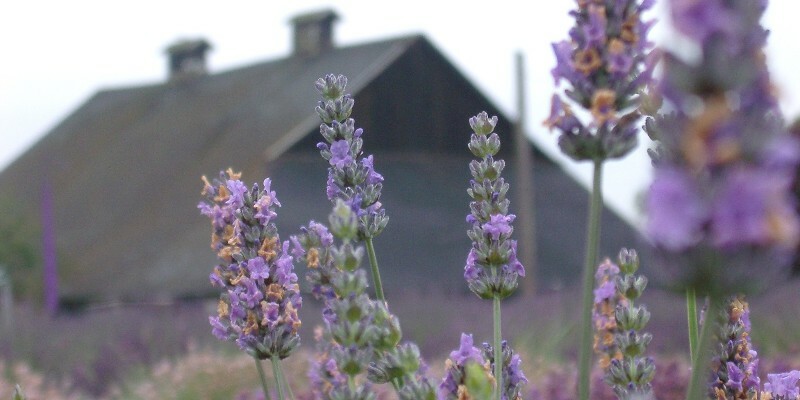 The Sequim lavender farms are located throughout the region, and the Sequim Lavender Trail connects them all. Wherever you start, we invite you to follow the trail to experience the amazing beauty and abundant harvest of Sequim lavender. Along the trail, you will find other destinations as well – specialty shops, restaurants, other farms, and even a game farm! Be sure to mention that you found them on the Sequim Lavender Trail. Whether you’re driving or cycling, you can easily complete the entire trail in a day. But, better yet, take your time and immerse yourself in the amazing destinations that we call home. At each destination, you will experience a gracious welcome, a friendly smile, and owners who love to share all that Sequim has to offer. 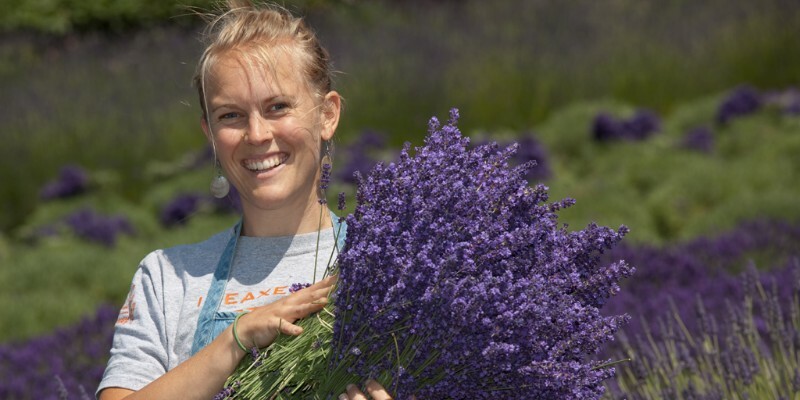 The Sequim lavender farms and gift shops are delighted to partner with other local businesses in welcoming you to America’s Provence, the premier lavender destination in North America. There is so much to do throughout the Sequim-Dungeness Valley, the gateway to Olympic National Park, that you’ll find yourself coming back again and again. Be sure to check out all of the special events on the farms and throughout the valley and begin planning your next visit. As with any crop, lavender’s bloom is dependent on a variety of factors including soil temperature, sunshine, and rain. Early varieties often begin showing color in June, while other varieties may not bloom until early July. With the abundance of lavender varieties showcased on the farms throughout the Sequim Valley, you can experience color and sweet aroma for most of the summer! 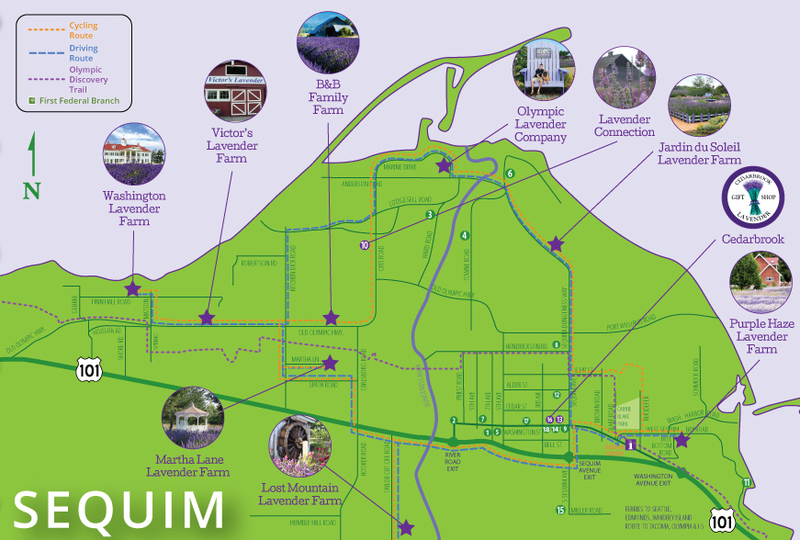 The Sequim Lavender Trail encompasses a wide diversity of iconic lavender farms, boutique gift shops, and partner destinations. Each stop along the trail welcomes you to explore the beauty and richness of the Olympic Peninsula. Enjoy the mild ocean breezes, gaze at the majestic snow-capped Olympic Mountains, and indulge your senses with Sequim’s premium lavender.